Bring the water to a boil. 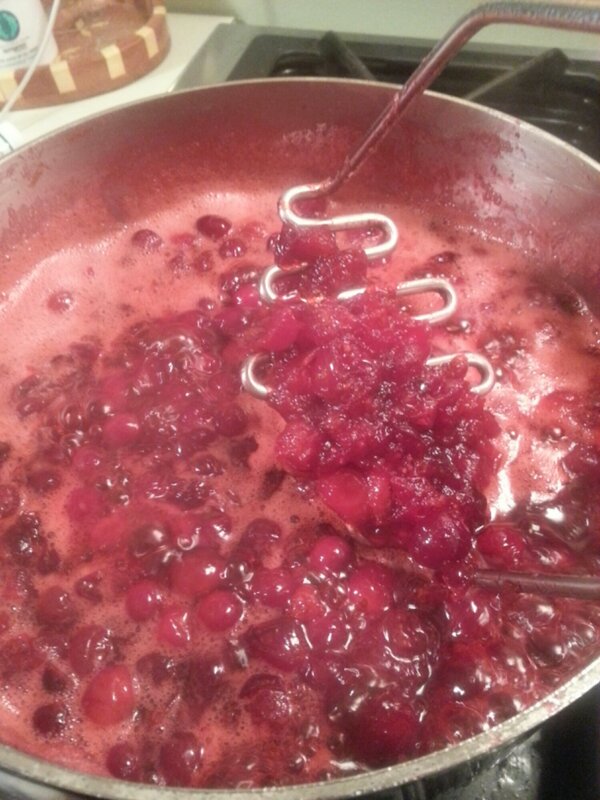 Add the cranberries and the rest of the ingredients and simmer over medium heat. Let it hang until 2/3 of the berries pop (10-15 minutes). Take a potato masher and crush half of the mixture. Let it cool and it will thicken nicely. Cranberry sauce at Thanksgiving = happiness.